Really beautiful and sleeveless blouse with animal print. 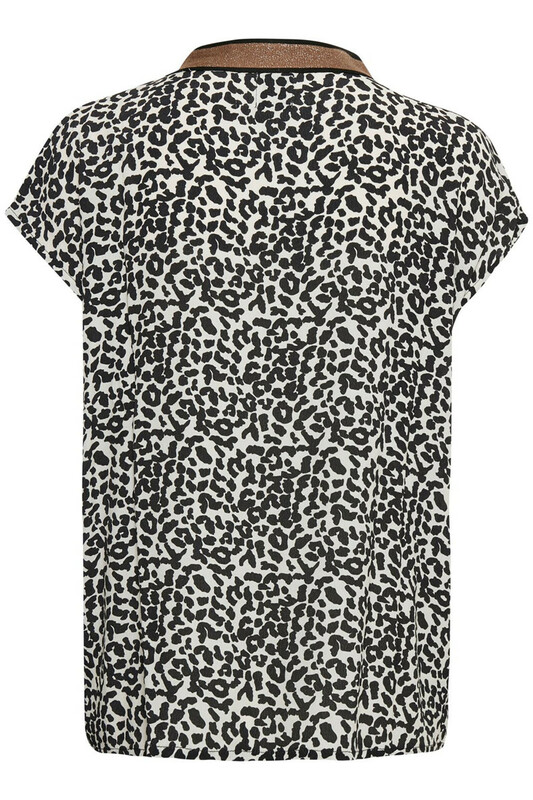 The short-sleeved leopard blouse is incredibly comfortable and pleasantly soft with its 100% viscose. It has regular fit, a v-neckline with glitter effect, which is creating a cool and festive look for the blouse. 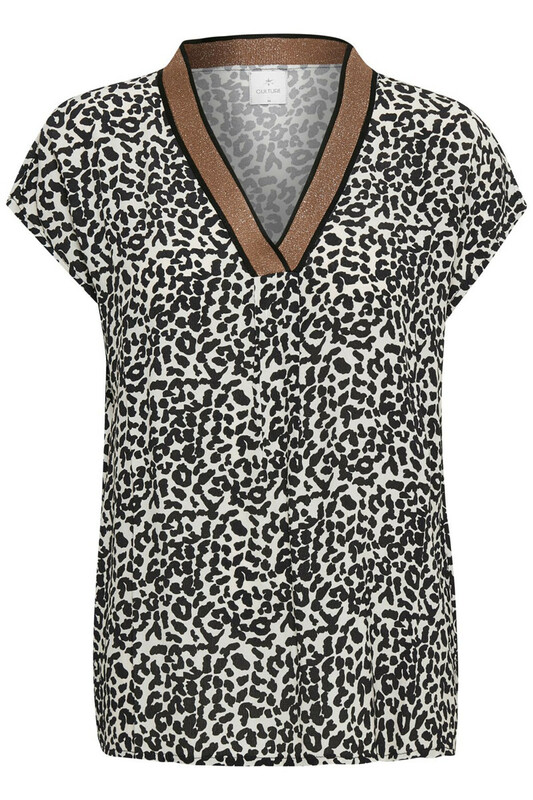 The leo blouse matches perfectly together with a cute skirt or pair of ripped jeans. Or match it with Andrea Pants for a complete stylish look that can be used for everyday use and festive occasions.